The concept of “synodality,” originally applied to bishops meeting together to discuss church teaching, has become increasingly important and extended since the Second Vatican Council. In “Evangelii Gaudium,” Pope Francis stated his intention to implement a broader communion between clerics and laity, as well as his preference for a “listening” church. His concept of synodality is the whole church walking together, with all its members listening to one another. The pope further outlined his vision in 2015 at the second synod on marriage and the family. First there should be diocesan councils of priests and laity, presbyteral councils, chapters of canons and pastoral councils. Second, bishops should gather to listen to each other regionally and in bishops’ conferences. Third, synods of bishops should take place in collegiality with the bishop of Rome, as pastor of all Christians. He reminds us that, through the Holy Spirit received in baptism and confirmation, all church members, including the laity imbued with the “sense of faith,” play a part in teaching and learning. In 2018, a document by the International Theological Commission underscored this, recommending less clericalism and advocating more prominence for the laity, according to their capacity. The commission wrote that the synodal nature of the church is not something activated only on special occasions but “must be expressed in the church’s ordinary way of living and working.” Beginning with prayer and listening to God’s word, clergy and laity will discern the Spirit’s call to action. A major step in “walking together” has been the inclusion of laypeople in the synods of bishops (which may need to be renamed! 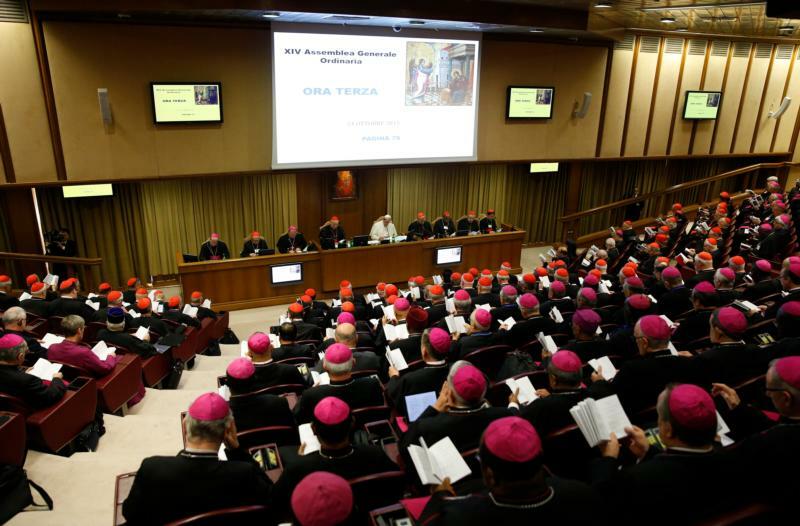 ), followed by inclusion at the 2015 synod on the family in the important “circuli minors” (small discussion groups) with full freedom of expression. Pope Francis emphasizes diocesan synods as a primary means of pastors “listening,” although these have not been uniformly implemented, nor have parish or pastoral councils. Laypeople may welcome the pope’s vision but may well ask: What diocesan synods? How often do they happen? Where? If a diocese does not have such a procedure, can that be changed? Can the church be a “listening” church where there is no formal mechanism for listening to the laity? Pope Francis signaled his intent to have the laity consulted by inviting responses to questionnaires, open to and accessible by anyone who wished to respond, before both synods on the family. Participants were then presented with a synthesis of those responses as part of their working material. This was eminently practical: How can bishops know the concerns of the faithful in the absence of information from them? I was privileged to be a participant in the second synod on marriage and the family and, in my small group, laypeople felt free to express their thoughts and were listened to, in the same way as the cardinals and bishops present. Not all laypeople reported this from their groups, and clearly some clerical-lay differences remain to be resolved, on both sides. Adding to the theological commission’s positive notion of the need for consultation of the laity and their greater formal participation, perhaps now that laypeople participate in small groups and make interventions of the same length as the bishops (very fair! ), they should also be allowed to vote. Do laypeople count at that level or not? A restricted participation looks like the clerical-lay distinction that Pope Francis seems to think unhelpful. McQueen is executive director of the Canadian Catholic Bioethics Institute. She is adjunct professor at St. Michael’s Graduate Faculty of Theology in the University of Toronto.